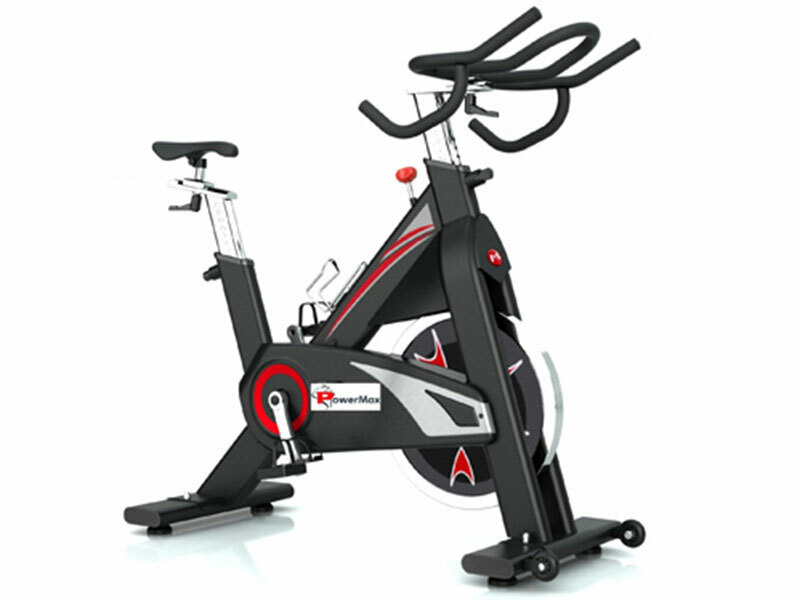 Recumbent bikes at the most basic level are bikes which place the rider in a seating position as opposed to an stationary or traditional seating position consistent with everyday normal bicycles. From here and there are variations but the overall concept is the same. 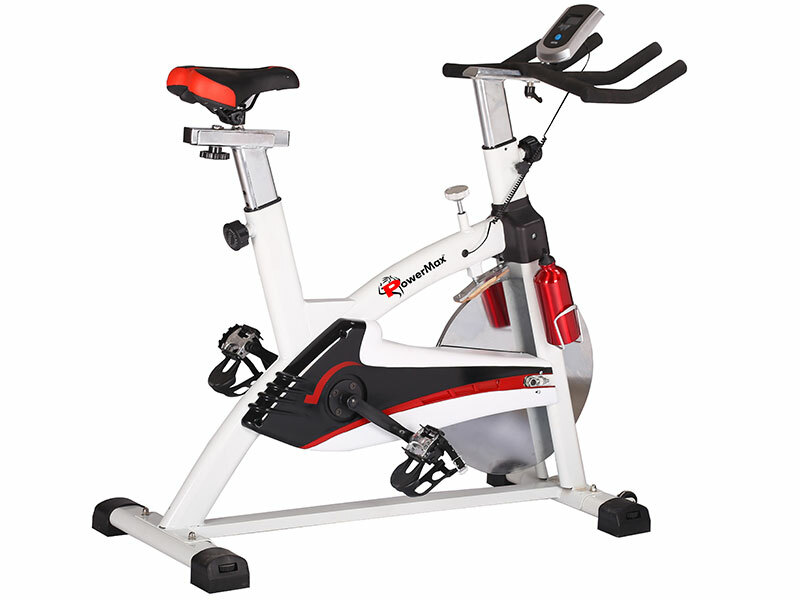 These bikes are often favored for their ergonomic designs which reduce the amount of stress that a rider’s own weight places on the points of contact with a bike. On traditional bikes, a rider’s weight comes down onto three contact areas: the sit bones, the hands, and the feet. The majority of the rider’s weight comes down over the sit bones where they make contact with the saddle. Features the LED display shows Time (you have run for how many minutes), Speed (speed of per hour), Distance (in kilometers), Scan, Odometer, Calories burned and Hand Pulse. 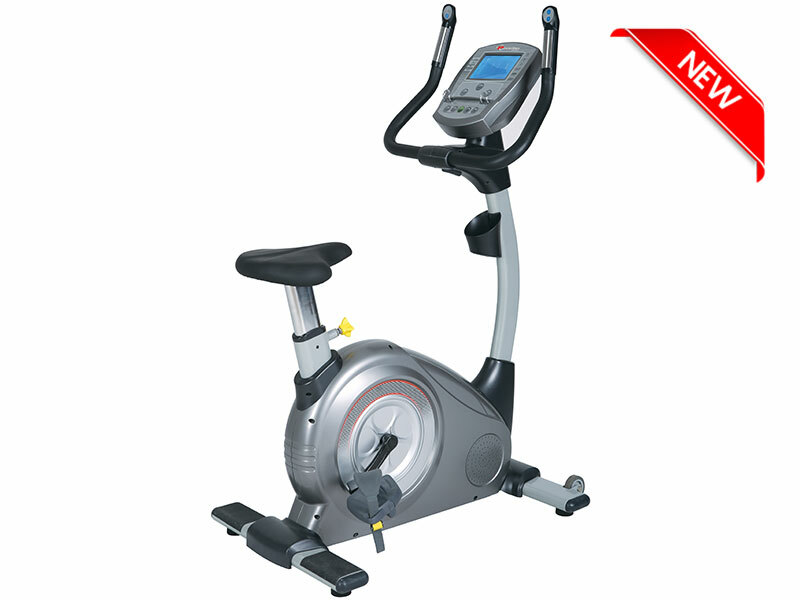 On a bike, Magnetic belt drive is smooth, reliable, light, and silent. On a recumbent, it has the potential to solve problem or noise that is bane from chain belt: Greasy, Noisy, Unwieldy chain. 9 kg, one way flywheel delivers a smooth, realistic ride experience. 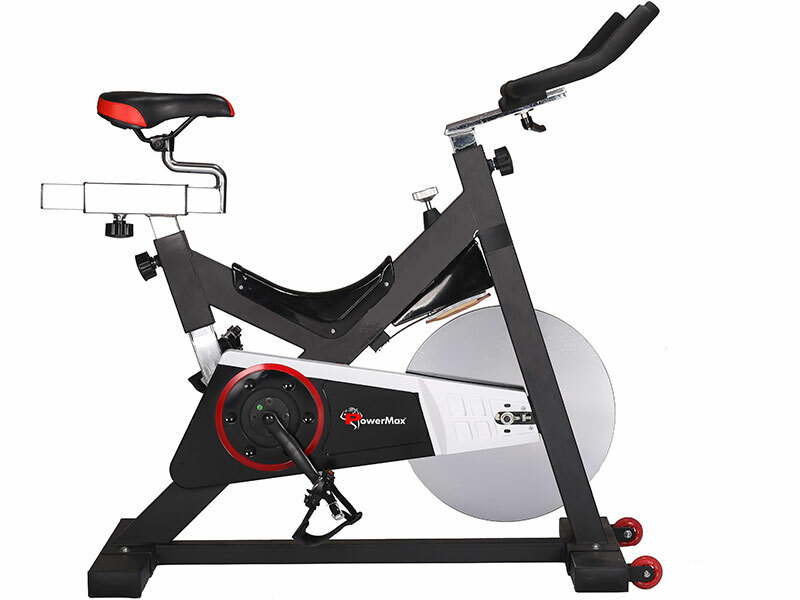 The number of resistance level in the recumbent bike is up to 8 level tension that enable you to individualize your workout, making recumbent bikes suitable whether you're just starting an exercise routine or training for professional exercise. 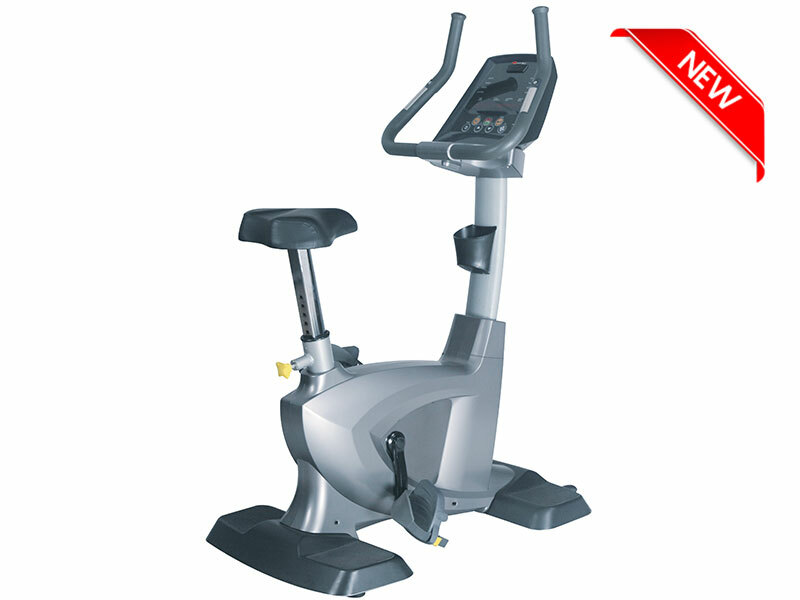 The Max Users Weight PowerMax Fitness BR-900 Commercial Recumbent Bike can carry is 135 kilogram. 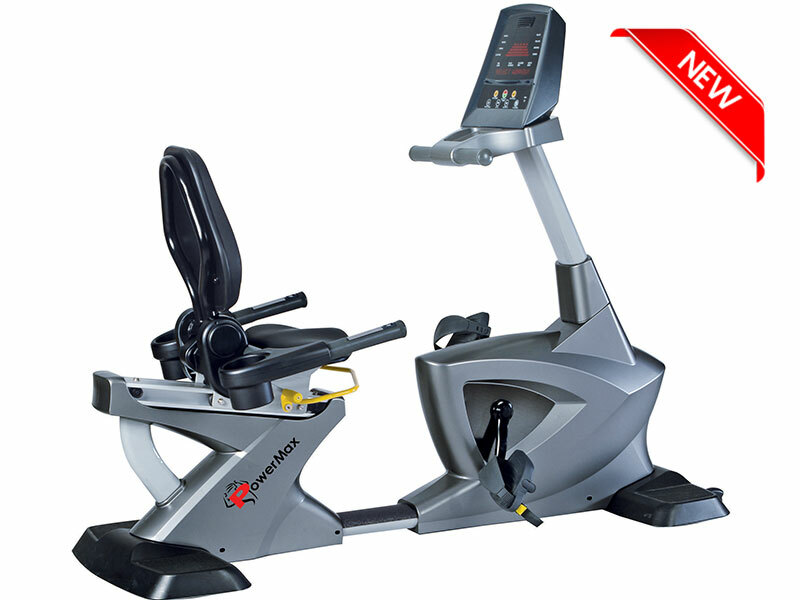 PowerMax fitness BR-900 commercial recumbent bike adds the realistic feel is the presence of Comfortable anti-slip pedals. 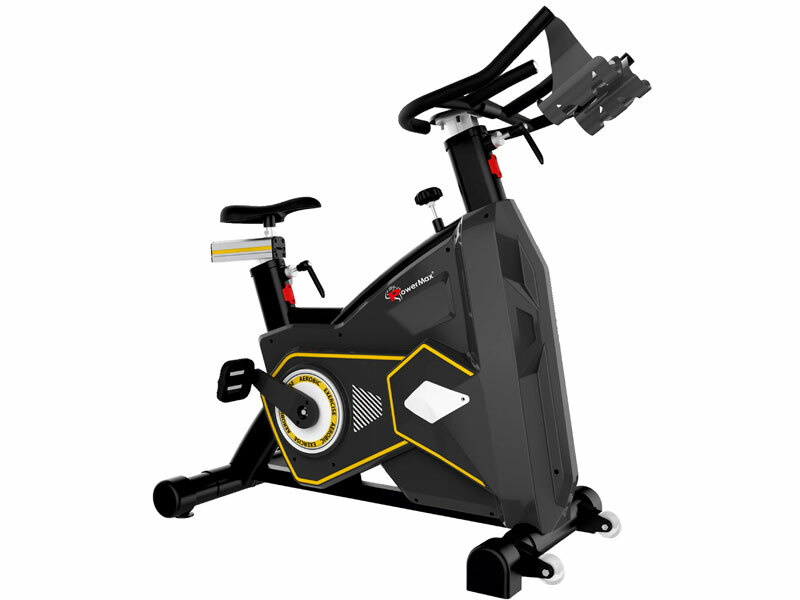 Pedals come as standard on most indoor cycles, meaning you can either securely fasten your feet on the bike. 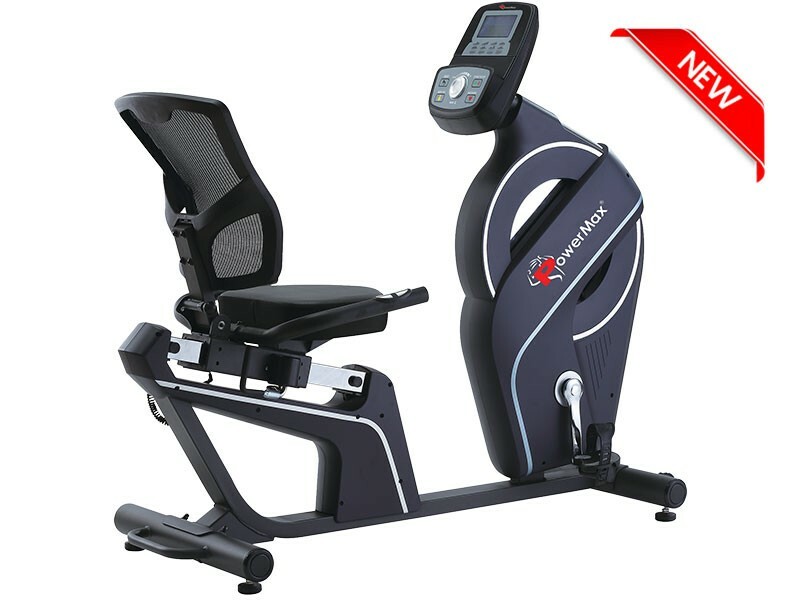 The magnetic recumbent bike has the perfect, adjustable, comfort seat with deluxe and multi-angle adjustment mesh back provides exceptional comfort. The crank is made up of the arms that the pedals screw into, the spindle that joins them and they move to turn the drive and flywheel. The bike has 6.7inch and 3 pieces of crank. 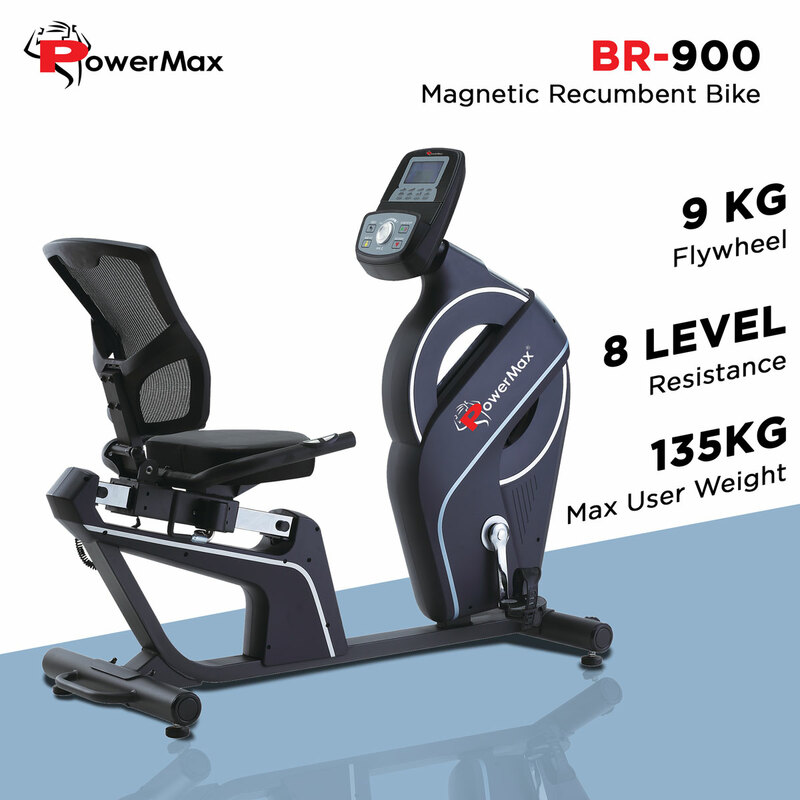 The PowerMax offers iPad holder, wheels for easy transportation, resistance controller, hand pulse on the handlebar, adjustable front and rear stabilizer in height. 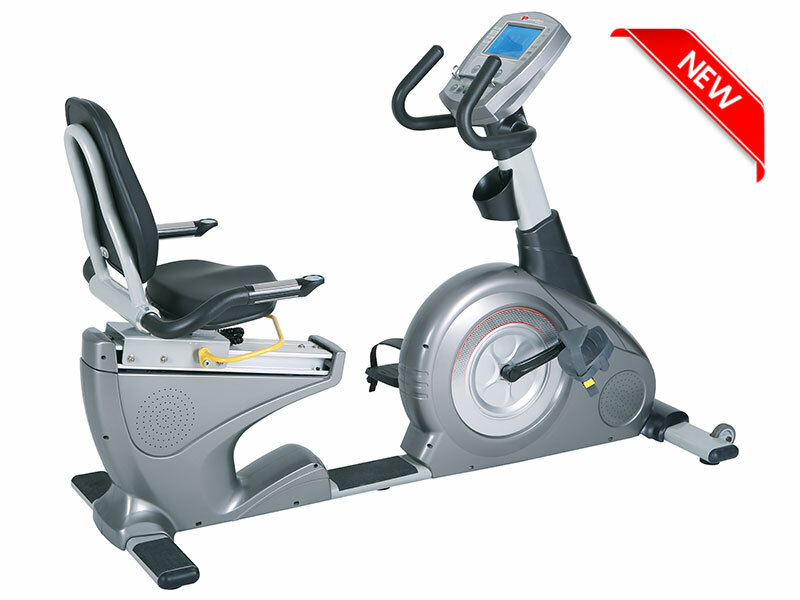 Heavy gauge steel mainframe of PowerMax fitness BR-900 commercial recumbent bike gives 1-year limited warranty.